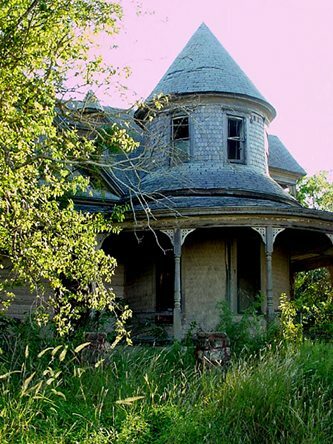 It seems pretty far north for property related to the King Ranch, but indeed, it was Mifflin Kenedy who bought this land in 1886 in anticipation of the soon-to-arrive San Antonio and Aransas Pass Railroad. It was, of course, named after him. 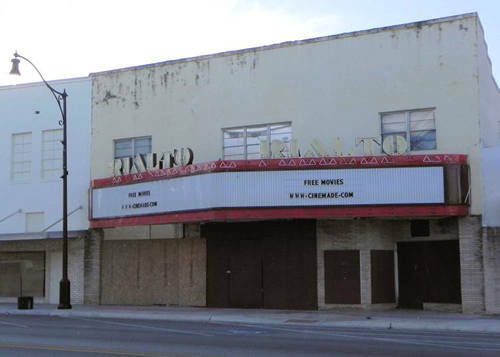 Kenedy is acknowledged as the �chief benefactor� of the SAAP railroad. 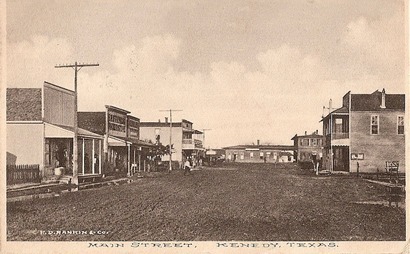 The name Kenedy Junction was applied in June of 1887 but the name was shortened just three months later. 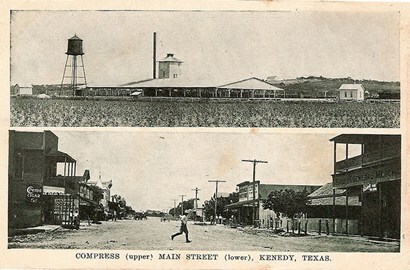 Kenedy Junction had a Y, splitting railroad traffic to either Houston or Corpus Christi. 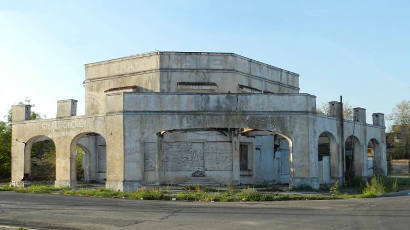 A larger depot was built which included a railroad hotel � officially known as the Railroad Hotel. 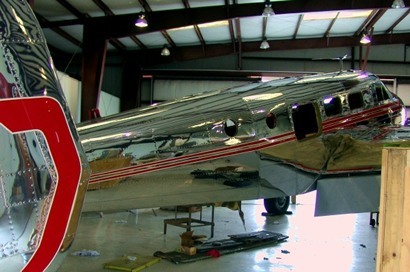 The establishment also included a restaurant for the convenience of travelers. 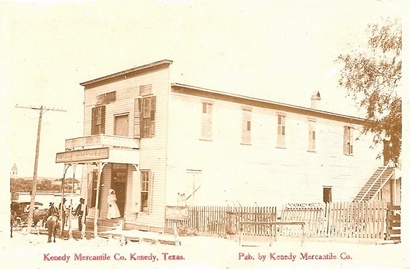 As Kenedy waxed, nearby Daileyville waned and the post office of the shrinking town was transferred to Kenedy � operating temporarily under the roof of the Railroad Hotel. German farmers from Fayette County transmigrated into the new territory, and W. E. Thulemeyer, is credited with being the agent. 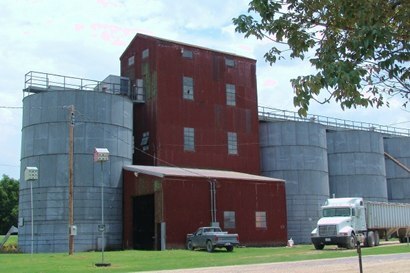 It was Thulemeyer who built the first cotton gin in 1891. 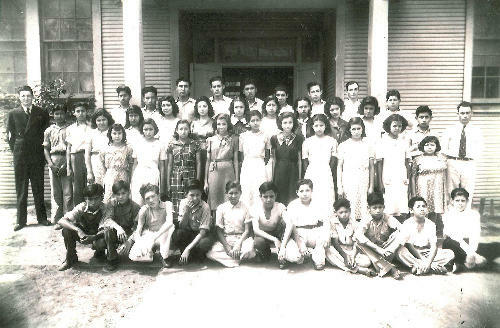 An independent school district was organized in the 1890s and in 1908 a three-story school was constructed. 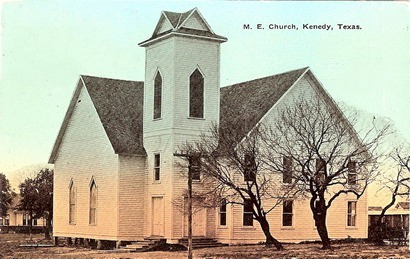 Kenedy incorporated in 1910 with a population of 1,147. 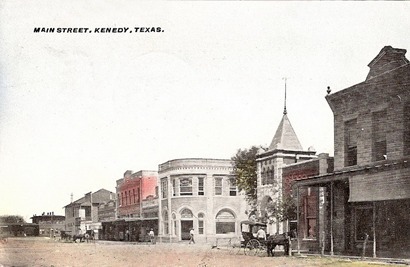 Kenedy was one of several towns in Texas to be known as �Six-shooter Junction.� The reputation appears to have come from salon patrons who saluted passing trains � or showed off their wealth by wasting ammunition. 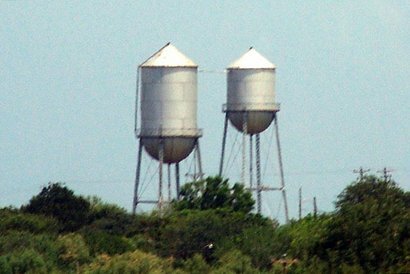 Hot mineral water was conveniently discovered near the railroad station and hotel in 1915 which gave the town an economic boost, and the town also held claim to one of the largest cotton compresses in Texas. The Kenedy Alien Detention Camp, opened during the war, holding Germans, Italians, and Japanese diplomats and their dependants from South American counties. 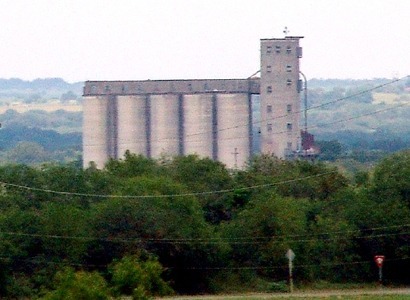 The town of Kenedy claims the title of "Flax capital of Texas." Since the general public isn�t quite sure of exactly what flax is � the annual Flax Festival was discontinued. The less confusing Blue Bonnet Days became the annual event � and is held each April. 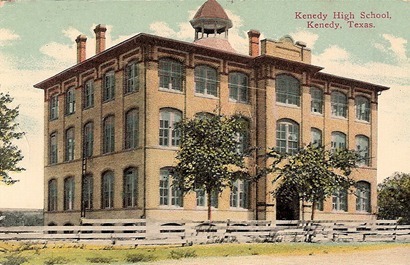 Kenedy now plays host to the John Connally Unit of the Texas Department of Corrections. 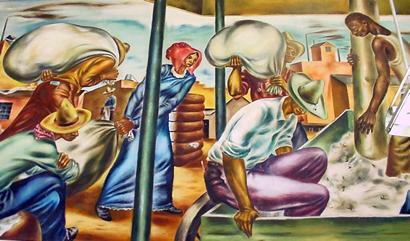 "Entering the city on 181 from the south, this is the beginning of hilly country." - Ken Rudine, August 2007. 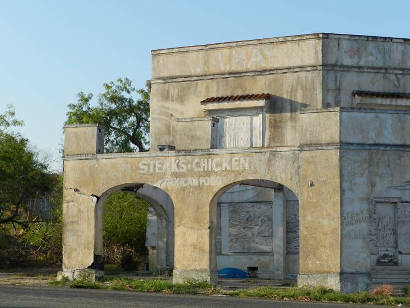 "The last 9 years or so have not been kind to this once splendid example of a gas station in Kendedy."